Bocca's Plumbing & Gas can handle any job big or small in your bathroom. We can handle all bathroom maintenance, repair work and upgrades including toilet problems, blocked drains, dampness and installation of new vanities and tapware. Time to renovate? Then you will need the help of Bocca's Plumbing & Gas. We have built a reputation based on a professional outlook on our quality of services with the highest level of service to you, the customer. We provide a quality bathroom renovations in South Perth and surrounding areas, whether it be residential and commercial maintenance and construction. 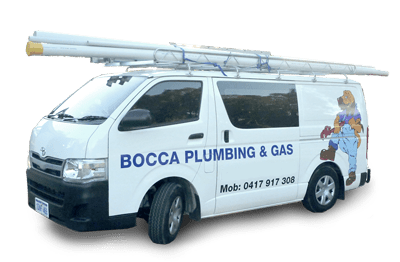 Bocca Plumbing & Gas was established in Perth, Western Australia in 1990 dealing in all aspects of bathroom renovations, plumbing & gas fitting for all residential and commercial properties in South Perth. We use only the highest quality equipment and parts for all work guaranteeing reduction in your bathroom renovation costs. Bocca Plumbing & Gas has built up a loyal customer base that spans residential, real estate and other commercial developments. No hot water? Looking for new hot water unit? With years of experience in domestic, commercial and industrial plumbing, Bocca's Plumbing & Gas are highly qualified and equipped to provide a wide range of services, specialising in bathroom renovations in South Perth, plumbing systems (hot water systems, storm water and gas systems), water tanks, and gas fittings. The list of services even extends to burst water pipes, dishwasher installations, blocked drains and leaking toilets. We are proud members of Master Plumbers & Gas Association as an active industry member in Perth, call Luciano for any assistance in quotations or advice Phone 0417 917 308. Thinking of renovating your old bathroom? Got some minor repiars that need to be done? At Bocca's Plumbing & Gas, we understand doing a bathroom renovation could be stressful, organising all the trades to do the work, picking right plumbing fixtures and making sure after you spend all that money that your bathroom has functionality and the looks you expected. The whole process requires planning and most importantly picking reliable and precise tradesmen to make the renovation run smooth. When it comes to plumbing installations for bathroom renovations, Bocca's Plumbing got you covered. We can help all clients from full bathroom makeover to small bathroom repairs. We guarantee our plumbers will follow the project from start to finish with the highest precision and best advice you can possibly get.